Allegra Boverman/Gloucester Daily Times. 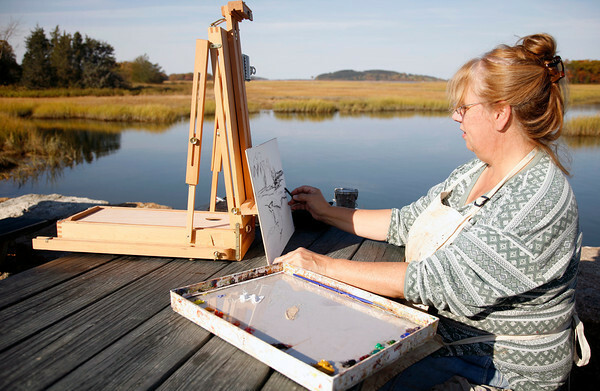 Judy Greulich of Wakefield sketches the salt marsh area outside Farnham's in preparation to create a plein air oil painting on Monday afternoon. She loves coming to Essex to paint. "I just drive around until I find something I like and hope I can find it again."